Oh Google Maps… Why, Why, Why? 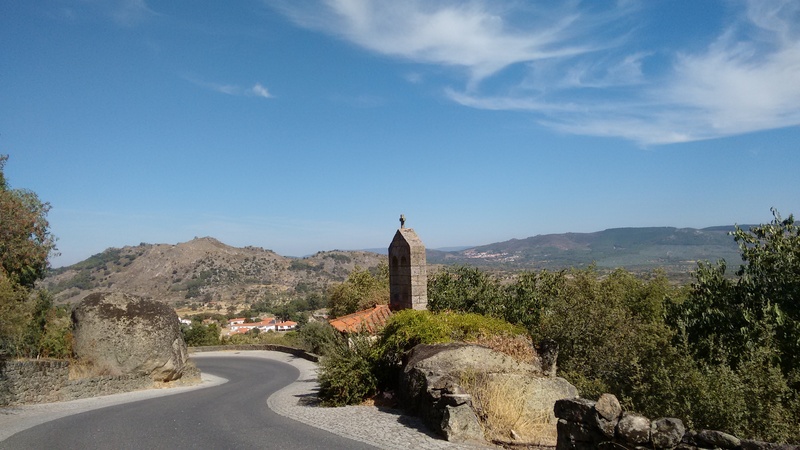 Over the past few years I’ve spent many, many hours carefully putting together route maps for cyclists coming to Portugal and putting them on the Pedal Portugal website – but now Google seems to have messed up the lot! What is it with these companies that feel they have to keep changing things? I used the old version of Google Maps for all of my maps. Partly because when I started it was the only version, but also because I think it’s much better for route planning than their “upgraded” new version. To begin with, the old maps still worked fine. Now, though? 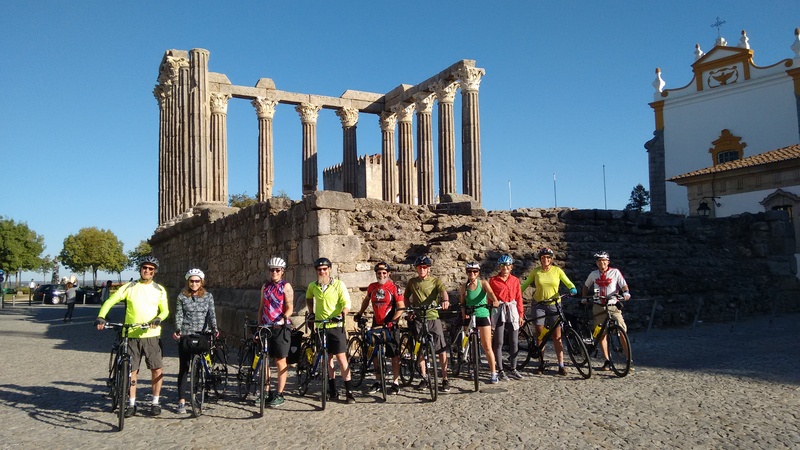 For some reason, Lagos in the Algarve has become Lagos in Nigeria (interesting cycling route!) and other carefully chosed locations have also switched not just country but continent! With some of my maps, the links still go to a map but now show routes on motorways (closed to cyclists) rather than the carefully-chosen back roads on the original version. With other maps, the links still seem to go to the old version of Google Maps but the various ‘destinations’ along the way seem to now come up as GPS references and Google seems unable to plot a route between them. One of my more recent maps shows (sorry, showed) a day ride in the western Algarve starting in Lagos. Now, if you click on the link on the Lagos Back Roads page the map that comes up starts from an ‘Unknown Road’. The problem is, the map then asks which location I meant and gives me a choice of options – including roads in the United States, Cameroon, Australia, India, Bolivia, Iceland and Pakistan. Random, or what? Hopefully, normal service will be resumed soon. 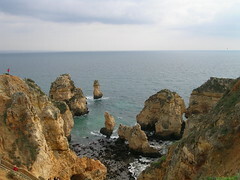 In the meantime, here’s a picture from my most recent visit to Portugal. 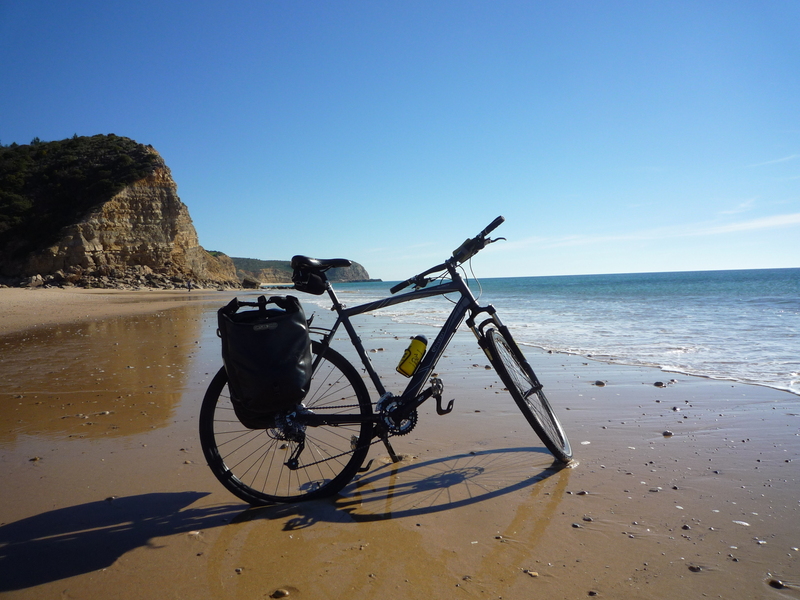 This will probably be the cover image for the next Pedal Portugal guidebook, Cycling The Algarve. 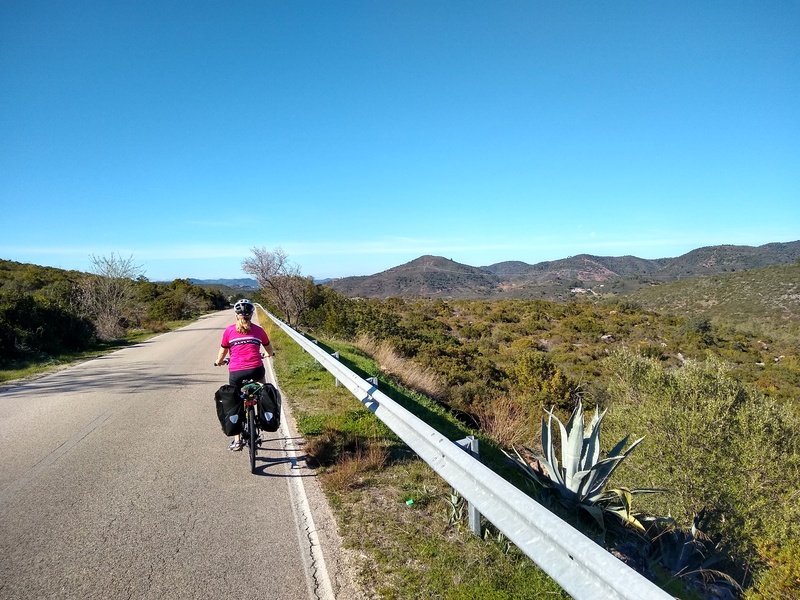 This will include a touring circuit of the western Algarve (and a little bit of the Alentejo coast), plus a selection of day rides in the area between Faro and Sagres. Publication will hopefully be in the late spring or early summer. Simply gorgeous – the beach at Boca do Rio, in the western Algarve. Thanks to Cycling Rentals for the bike! What’s Portugal like in October for weather? Is it wet? Or just cold? 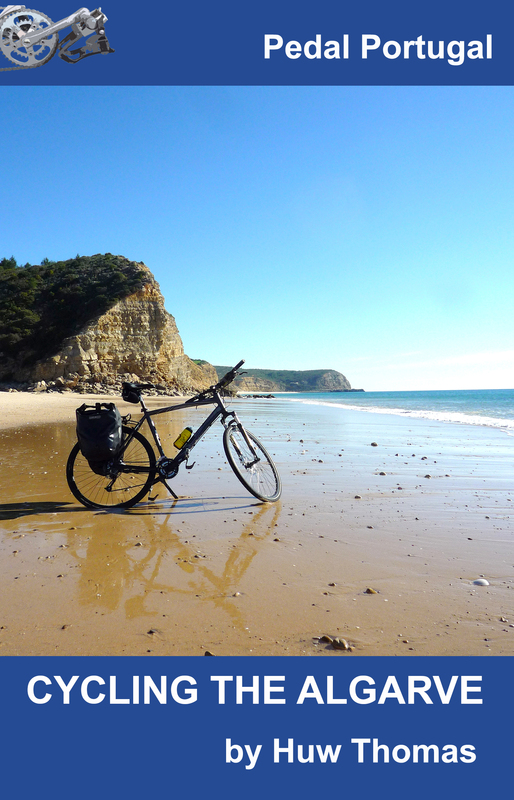 I will be cycle touring France in September and am considering adding Portugal to the tour because of your website. October can be glorious! Depends a bit on how far north or south you are, and what time in October. Generally the start of October can still be hot (25-30 degrees C) and it will start to cool during the month. The far north can start to get a bit damp but mid-Portugal and south will NORMALLY be pretty dry. 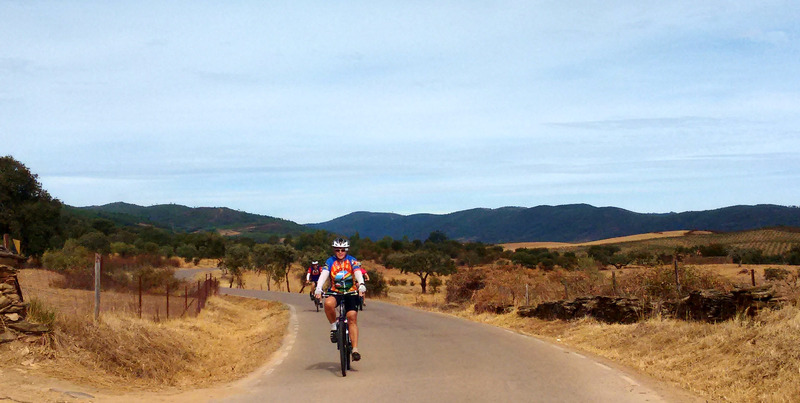 For areas like the Alentejo and the Algarve the heat will last well into October. I had two weeks based in Odemira in SW Alentejo in mid October 2013 and it was shorts and t-shirt weather nearly every day (swimming in the sea and sunbathing). I also spent three years living in Portugal further north and Octobers were generally gorgeous. Only downside is the landscape can look a bit harsh and barren because all the greenery has burnt off in the summer and nothing new is growing. Nights are cooler but not cold. Any more questions, just ask! yep, if google was in the room… I’d open a can of whoopa$$. if google rode past me onna’ bike, I’d Krypto him upside the head. Fuk’N not a fan. feel your map angst from here ‘bro.